Brenton Thwaites at "The Giver" premiere in New York City. 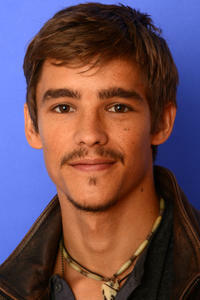 Brenton Thwaites at the 2014 Sundance Film Festival in Park City, Utah. Brenton Thwaites as Jonas in "The Giver." Brenton Thwaites in "The Giver."